Four former Stallion Football players recently earned academic honors for the 2017 Fall Quarter. Warren Ball '12 (University of Akron) and Tucker Yinger '14 (University of Dayton) were named to the CoSIDA Academic All-District 5 team. 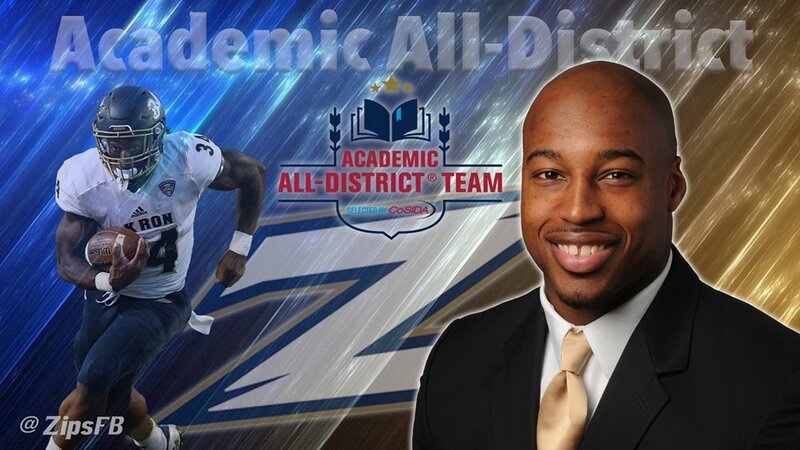 Sayyid Kanu '14 (Morehead State, Pioneer Football League) and Luke Melsop '15 (John Carroll University, Ohio Athletic Conference) were recognized Academic All-League by their respective conferences. Ball, a redshirt graduate senior, earned a bachelor's degree in sports industry from Ohio State before transferring to Akron in 2016. He is pursuing a Master's Degree in Sport Administration and sports a 3.56 GPA. Yinger was a 2016 Second Team Academic All-American and is an academic all-district selection for the third consecutive year. He's currently studying Mechanical Engineering and has a 3.71 GPA. Sophomore Defensive End Luke Melsop was one of five John Carroll football players to be named Academic All-OAC earning a 3.55 GPA in Exercise Science. Kanu, a redshirt junior Safety, Ohio, earned a 3.58 GPA in business for Morehead State to earn Academic All-Pioneer Football League. Older PostJack Elgin - "Where Are They Now?"